In April, Alison and I began looking at puppies/dogs on the local SPCA website and found some that were pretty cute. Then, at the end of April, we saw this little pup named Sienna. I paid a visit and she loved me. I brought in Daxx and the girls and she got along well with them all. So, we brought her home for a one week trial and she soon stole all our hearts. We officially adopted her on Monday, May 4th, and named her Keiko, keeping with our Star Trek name tradition (Keiko O'Brian from Deep Space 9). She is getting along great with the family, a bit of a chewer, and like to wake at 5:45am and whine to get out of her crate. So, she's a typical puppy. 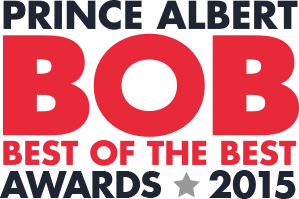 Every year, the local online new site PAnow.com hosts the BOB awards and this year, I've been nominated for best local author. Anyone can vote; you don't have to live in Prince Albert. Just register with your email and vote once per day, every day, until May 27. Follow the link below and thanks for your support.